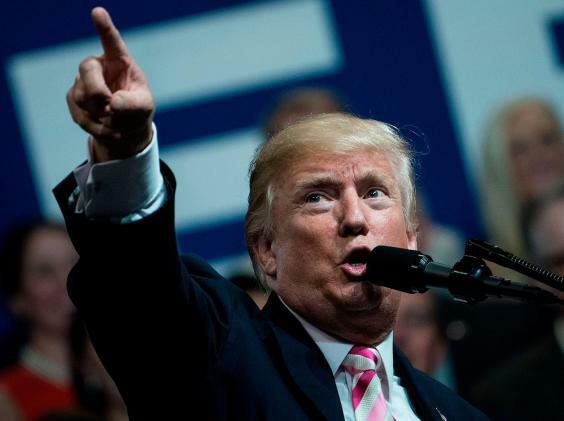 President Donald Trump says NFL owners should fire any players who protest during the national anthem – and called on fans to walk out if they see anyone doing so. 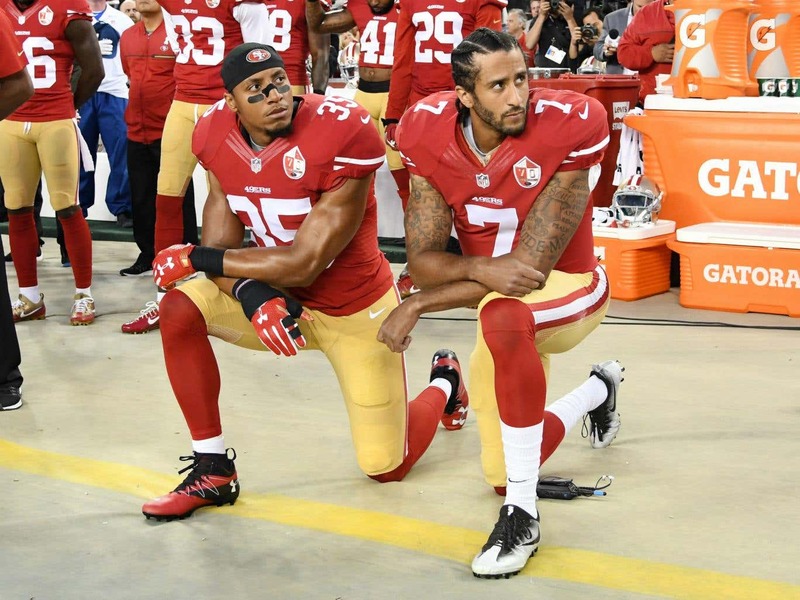 Several of the league’s top stars have refused to stand during “The Star-Spangled Banner” to protest the treatment of black people by police in the United States. 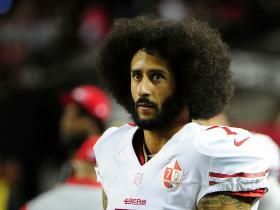 Quarterback Colin Kaepernick, who was the first to take a public stance on the issue while playing for the San Francisco 49ers, hasn’t been signed by an NFL team for this season. While he didn’t mention Kaepernick specifically by name, Trump indicated he believes any players protesting are disrespecting the flag and deserve to lose their jobs. “That’s a total disrespect of our heritage. That’s a total disrespect of everything that we stand for,” he said. Trump also predicted that any owner who went through with his encouragement would become “the most popular person in this country” — at least for a week. The league has agreed to pay $1 billion to retired players who claimed it misled them about the concussion dangers of playing football. During his campaign, Trump often expressed nostalgia for the “old days” — claiming, for example, that protesters at his rallies would have been carried out on stretchers, back then. He recently suggested police officers should be rougher with criminals and shouldn’t protect their heads when pushing them into squad cars. It’s also not the first time he’s raised the kneeling issue. Earlier this year, he took credit for the fact that Kaepernick hadn’t been signed. TV ratings for the NFL have been slipping since the beginning of the 2016 season. 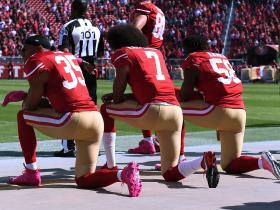 The league and observers have blamed a combination of factors, including competing coverage of last year’s presidential election, more viewers dropping cable television, fans’ discomfort with the reports of head trauma and the anthem protests. Ratings have been down even more in the early 2017 season, though broadcasters and the league have blamed the hurricanes that hit Florida and Texas. Still, the NFL remains by far the most popular televised sport in the US. “You know what’s hurting the game?” he asked. “When people like yourselves turn on television and you see those people taking the knee when they’re playing our great national anthem,” he said. “I guarantee things will stop,” he said.